I am strongly committed to preserving this agency's statutorily structured independence and impartiality. Led FERC to unanimous rejection of the Trump administration's coal and nuclear support plan. Pushed the rewrite of capacity market rules for PJM. By remaining on FERC, McIntyre will help maintain a lead for the Republicans on the commission. 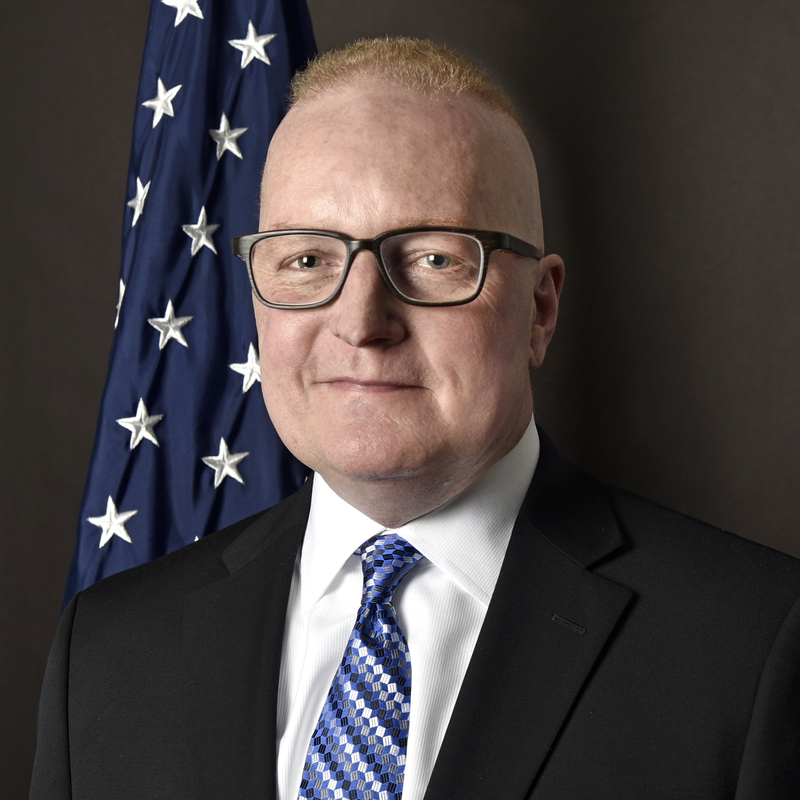 Federal Energy Regulatory Commission (FERC) Chairman Kevin McIntyre began the year as an enigma. He ends it as one of the most consequential FERC leaders in recent history. Nominated in July 2017, McIntyre was previously a partner at the Cleveland-based law firm, Jones Day. The new FERC chair brought deep experience in energy law when he took his seat in December, but was a relative unknown in Washington policy circles. How he would lead a FERC with three other new regulators in a time of unprecedented political division was an open question. McIntyre started his tenure with a bang, leading the newly constituted FERC in January to a unanimous rejection of a coal and nuclear bailout plan proposed by the White House that nominated him. The ruling was the administration’s most significant energy policy defeat to that point, but McIntyre softened the blow by also opening a longer term proceeding on grid resilience, the subject that underpinned the White House’s plan. That forum is how most in the power sector would expect to address questions of coal and nuclear retirements, and McIntyre’s handling of the tricky situation earned him wide praise in energy circles. “I wish they could run the whole damn country like we do FERC,” former commission Chairman Pat Wood III told Utility Dive at the time. McIntyre’s run of success continued into February, when FERC approved new rules for battery storage participation in wholesale markets, again in a unanimous vote. The rules were a landmark for any regulator — the first time FERC opened power markets to a potentially transformative technology — and the storage sector applauded the new rule. But in March, things started getting more complicated. McIntyre’s FERC issued its first major split decision on a power market issue — a 3-2 approval of a capacity market reform for ISO-New England. Commissioners Robert Powelson and Richard Glick, though from different parties, both dissented against the plan. In the same month, McIntyre revealed at a FERC open meeting that he had undergone “successful” surgery for a brain tumor the year before, and the health issue was behind the lengthy delay in taking his seat at the commission. The chairman said he would continue his "usual active lifestyle, including working full time." In May, FERC split again, this time on pipeline issues, when McIntyre and his Republican colleagues pushed through a decision curtailing the consideration of climate change in project reviews. The decision would set off a series of divided votes on gas pipeline authorizations, and Democrat Commissioner Cheryl LaFluer later announced she would disregard the majority’s ruling and continue to consider climate impacts. FERC’s most controversial ruling was yet to come, however. At the end of June, the commission made the surprise decision to throw out capacity market rules for the PJM Interconnection in a 3-2 vote. The decision was criticised by many in the sector, with a former Republican FERC staffer calling it an “unprecedented federal intervention” in wholesale markets and state policy decisions. Then in July, health issues derailed the chairman’s agenda. McIntyre fractured two of his vertebrae and had injured his arm in what FERC described as a gym accident. The chairman appeared at the July meeting unable to stand for the Pledge of Allegiance and was absent at FERC’s next two open meetings in September and October. During that period, McIntyre was absent from the office for long spells, and FERC became embroiled in the most serious scandal of his tenure regarding his chief of staff, Anthony Pugliese. The controversy began in July when Pugliese appeared on a podcast run by the right-wing media outlet Breitbart, denouncing New York Democrats for pipeline opposition in a manner unusual for FERC staffers, who typically stay away from overtly political remarks. Then, at a nuclear energy conference in August, Pugliese told the audience that FERC was working to identify power plants critical for national security. That was the first step in a leaked White House memo from the spring detailing bailout plans for coal and nuclear plants, and the power sector widely took it as an indication that FERC was working with the White House on the plan. McIntyre defended Pugliese in the media, but the controversy deepened the next month when E&E News published emails from the chief of staff lauding far-right European politicians. A former Republican FERC staffer called for the chief of staff to step down. "I am strongly committed to preserving this agency's statutorily structured independence and impartiality," McIntyre wrote in a letter to Congressional Democrats this August. The three episodes led many FERC observers to wonder if the commission is falling under the political influence of the Trump administration — exactly the critique McIntyre escaped early in his tenure. McIntyre would not get the chance to close out the controversy as chairman. In October, he submitted a resignation letter to President Trump, saying his health issues made it too difficult to continue as chairman, but that he would stay on the commission as a regulator. Trump accepted, giving Commissioner Neil Chatterjee the top slot. McIntyre’s legacy as chairman is complex. He led the commission through an unprecedented time of political pressure, preserving its independence at a critical juncture in the agency’s history. But as the year wore on he also received criticism as the commission was drawn into the political melee, and a number of his policy priorities, from the resilience docket to capacity market reform and a pipeline policy review, remain unfinished. How FERC will operate in the future is an open question, but it surely won’t be the same as before McIntyre held the gavel.